WASHINGTON — With summer in the rearview mirror and September straight ahead, school is on the mind of many this time of year. 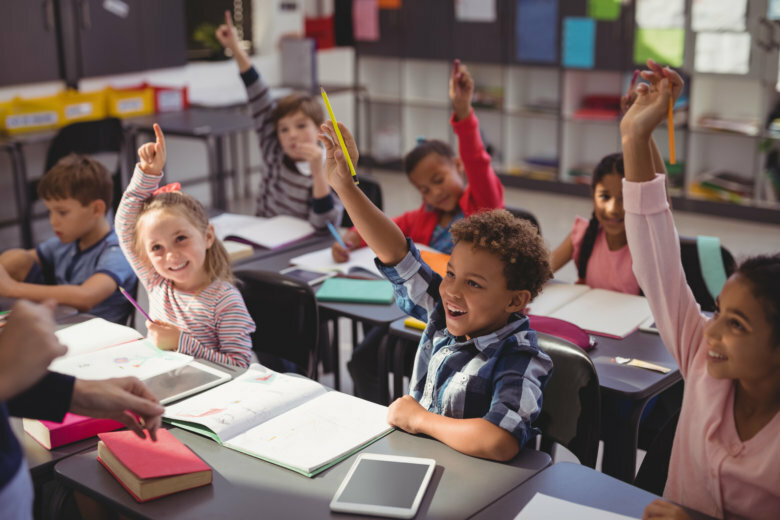 Whether your child is starting out or wrapping up, it’s not uncommon for parents to have questions when it comes to education: How do you know if a school is the right fit? What are the key indicators of a quality education? And how much homework is too much? Sir Ken Robinson, a New York Times best-selling author and education expert/advocate, shared some insight from his latest book, “You, Your Child, and School,” on how to navigate the system to make sure your child receives the best education possible. With charter schools, magnet schools, public schools and private, the options can be daunting for those with a choice. Robinson said before you go scouting schools with “the best” ratings, make sure it’s going to be the best fit for your kid. “The first thing is to look at your own children and what they’re good at and what they’re interested in. All kids are different,” Robinson said. In other words, a child with a passion for the arts will likely perform better in a humanities program, over one with a math-and-science focus. Next, Robinson said look for a school that has a “broad, balanced and dynamic” curriculum — one that gives equal weight to standard subjects, but also to social development and practical learning applications. Teachers are another crucial component to a quality education. “A great teacher will turn you on to something that you may not know you’re interested in, in the first place, and a not-so-great teacher for the individual might turn you off to something you thought was fascinating before you got into that particular classroom,” Robinson said. However, Robinson said if parents feel their concerns are not being addressed with a teacher, they should feel that they can go to the principal or other supervisor to work out a solution. Becoming actively involved — whether through volunteer work, coaching or other contributions — is another way to stay connected to the campus and community. “Overall, the evidence is always that if there are constructive partnerships between school, families, parents and teachers, then everybody does benefit and there are many practical ways to do that,” Robinson said. The tween and teen years are plagued with stress and anxiety, just by nature, Robinson said. Pile four-plus hours of homework on top of that, and you’ve got one stressed out generation. The biggest contributing factor to the growing homework problem is the pressure and competition to get into college. Robinson said before you make that the only goal for your child, give it some thought as to if that’s the best option. “We’ve come to believe that if you don’t get a degree, your life’s over and that’s simply not true. There are countless routes to success and fulfillment according to our individual talents and interests, and we need to revisit some of those,” he said. Robinson said a general guideline for homework is 10 minutes, total, per grade. So first graders might have about 10 minutes of work to do when they get home, whether that’s a reading assignment or art project. By the time students get to 12th grade, that homework load shouldn’t exceed two hours. If you are genuinely concerned that your child is coming home with too much work, Robinson said don’t be afraid to speak up and talk to the school. Often times, it’s a lack of communication between the different teachers assigning the work, and it’s one that can be corrected. Finally, be sure your child is balancing organized activities with free time and play. Robinson said kids shouldn’t go to school for eight hours a day, only to come home and do eight more hours of work. “Children spend much less time being unsupervised and just free time playing, making stuff up and being children,” he said. Research shows free time for children of all ages, from toddlers to teens, yields happier and more productive students. “Children need to develop in all kinds of ways as they grow — physically, emotionally, socially, spiritually — and a properly balanced education provides for all of that,” Robinson said.